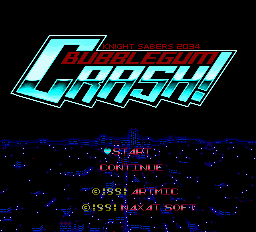 Bubblegum Crash! 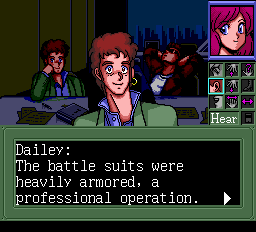 : Knight Sabers 2034 is an adventure game for the Turbografx-16. BubbleGum Crash. Straight from the series comes the digital comic adventure for PC Engine. Upon investigating a recent bank robbery incident, you soon learn that things aren’t quite what they appear to be. The game is played through a pick and click “digital comic” interface, requiring gathering clues and items and pestering… I mean interrogating anyone who might be suspicious or otherwise!